Let's empower ourselves. Respond more effectively to the City's plan for additional jails in Chinatown @125 White St. 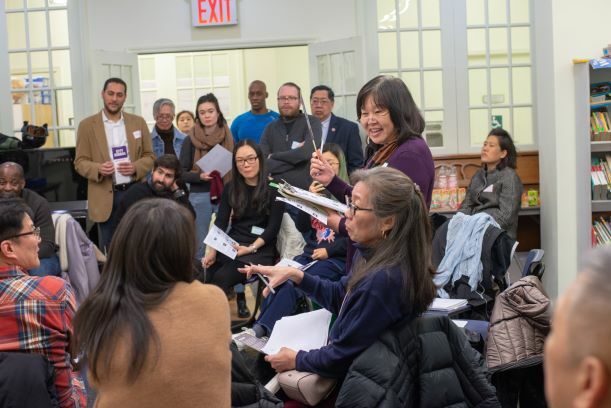 Think!Chinatown has invited the Center for Urban Pedagogy (CUP) to teach a workshop on ULURP, the long and complicated process which major land use changes get reviewed and approved in NYC. Let's learn more about the process! Briefing on the timeline of events to date regarding the detention center plans in Chinatown given by reps from Neighbors United Below Canal followed by Q&A with the CUP workshop facilitator. The goal is to empower our community with the information we need to best use the ULURP process to ensure our concerns are addressed. This is not a politically-biased event. The workshop is for 30 participants. Priority will go to Chinatown residents, and organization leaders who will pass on the knowledge to their groups. Thank you to Resist.org for supporting this workshop. Following the workshop, T!C will create a bi-lingual (Chinese/English) ULURP process guide specific to the Chinatown site. This document will be distributed freely to all Chinatown organizations and local media. Thank you to Chung Pak LDC for sponsoring the production of the action guide.